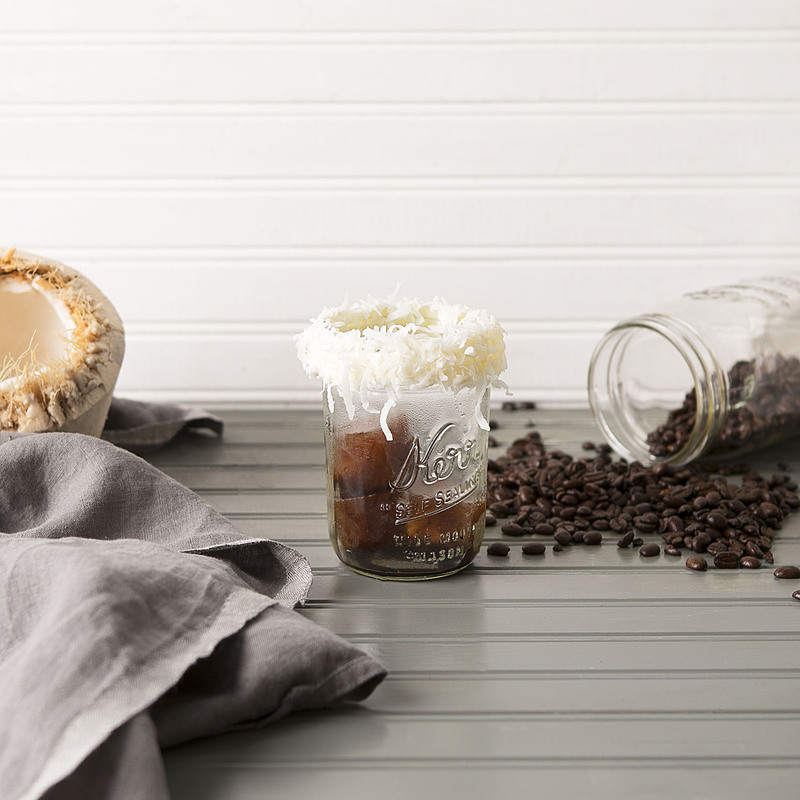 It’s been too long since we shared a coffee recipe, and we’re excited to bring you all a homemade version of Starbucks coconut iced coffee . 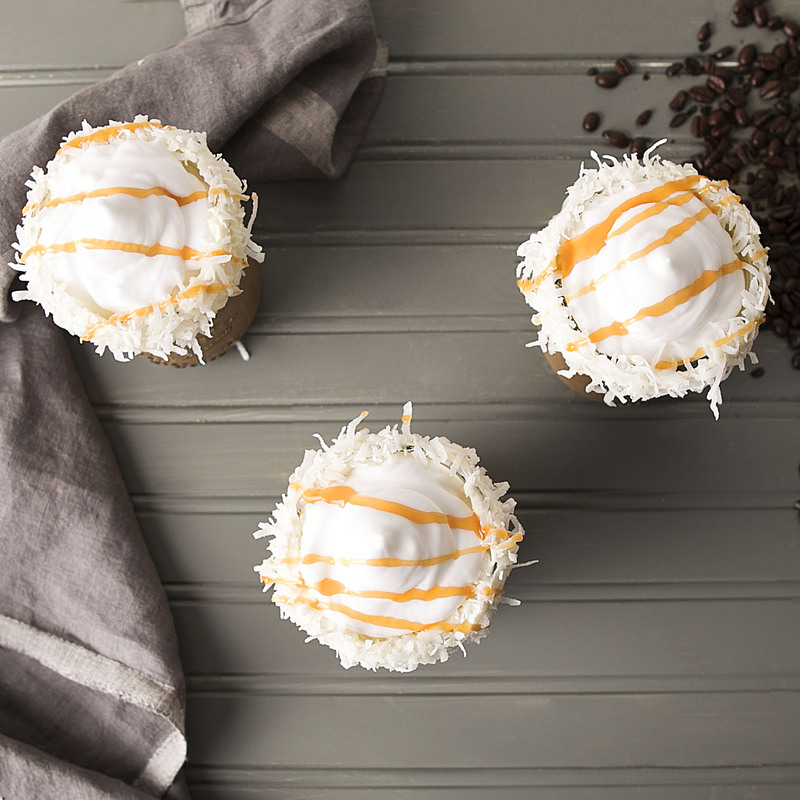 With a coffee obsession to last a lifetime, it’s surprising we haven’t bombarded our readers with more coffee infused recipes. Our love for it goes so deep, maybe one day we will create a niche blog with the star of the show being coffee. Too much? Maybe so, and we’re going to try not to get ahead of ourselves here. We just get so excited, the enthusiasm is uncontrollable! Here at Blooming Bites, morning coffee is part of our daily work routine. What you all don’t know is that 6 days out of the week, Sammy and I work remotely together because we live 60 miles from each other. We understand people make that commute everyday, however we are lucky enough that we have the ability to utilize technology (skype) to communicate on the daily like we’re right next to each other. And that one day a week, Sammy makes the 1 ½ hour trek down to my neck of the woods for shoot days. She’s so awesome right?! Aside from that one day when we are together, our mornings start out as follows. I wake up, and first thing I grind up my whole beans for fresh ground coffee. I then add my creamer of choice for the day, and chug it like it’s water. At that point, I usually will have gotten a call from Sammy as she heads into her favorite coffee shop by her home, and we chat about the schedule for the day; and maybe gossip about life a bit. We have always been friends first, and business partners second so it’s only fair we get in our personal chat time as well. And the day slowly begins as we satisfy our need for that cup of coffee we wake up thinking about. So as you can see, our morning literally revolves around coffee. 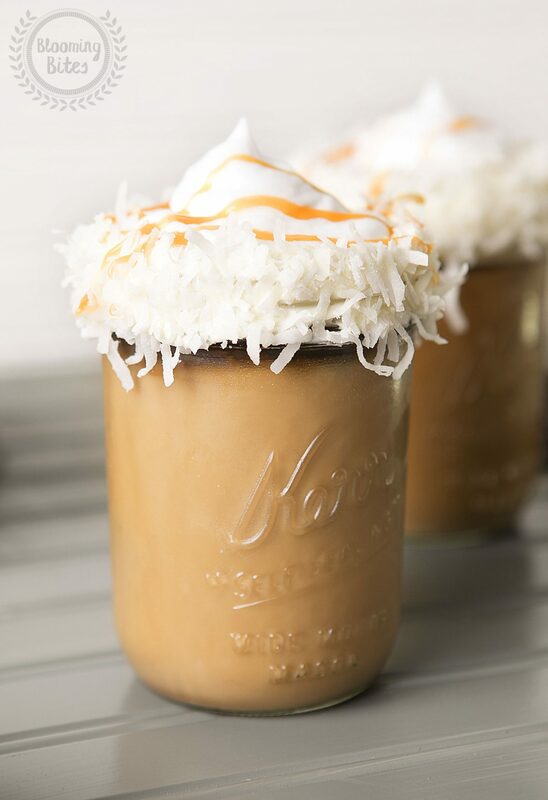 And as the summer weather starts creeping back into our lives, a great alternative to a hot cup of coffee is of course an ice cold cup of coffee. Which brings us back to our recipe choice for today. 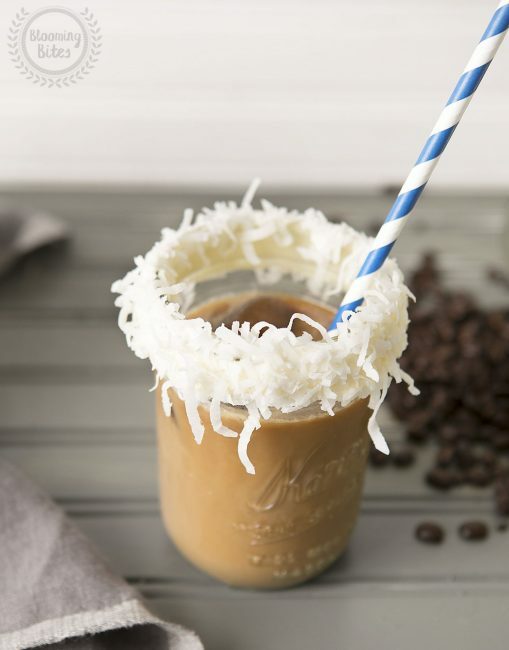 This sweet yet nutty iced coffee is refreshing and energizing; who wouldn’t want to start off a hot summer day with this cold caffeine filled beverage. 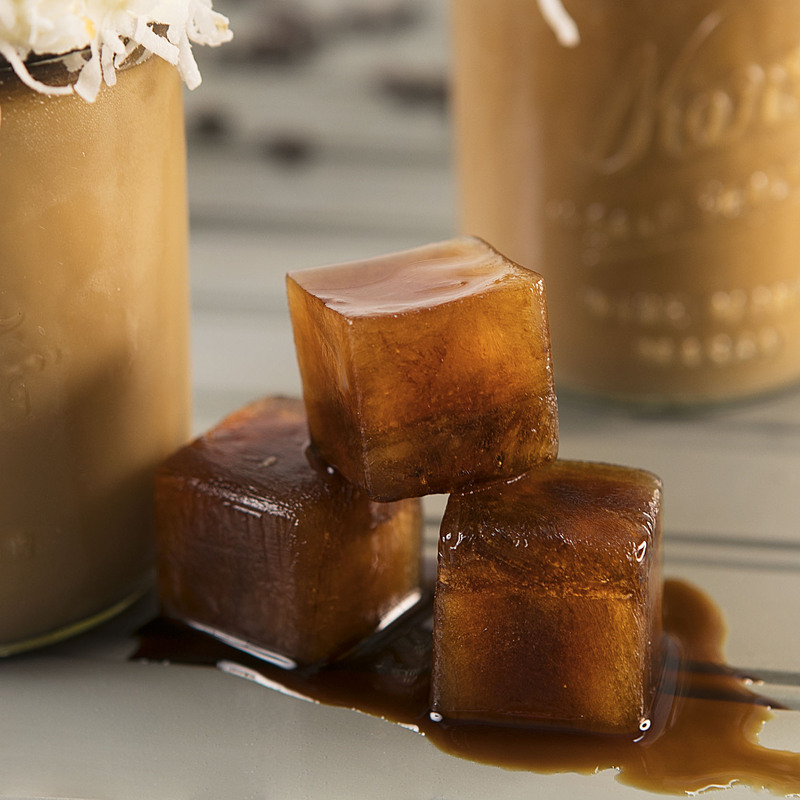 A little tip we’d like to offer up, we froze some of our coffee in ice cube trays and added that instead of regular ice. Be sure to do this if you are not a fan of watered down ice coffee. For those who are vegan or have a lactose sensitivity, this is the perfect recipe for you. Added to the chilled coffee is dairy free almond milk creamer, coconut milk, and a splash of coconut water. Such a delicious alternative to your typical creamer, we choose the dairy free version every time. Not to mention, it’s so much healthier for you. If you’re going to drink coffee as much as we do, and aren’t willing to drink it black with no sugar (que the “it’s so bitter” face), you have landed on the write blog post! We hope you all enjoy, and happy drinking! Brew a pot of coffee (as much as you normally would) and chill in the refrigerator overnight. Combine the almond creamer, coconut milk, and coconut water. Add as much of the coconut and almond cream mixture to the iced coffee as you like. Enjoy!